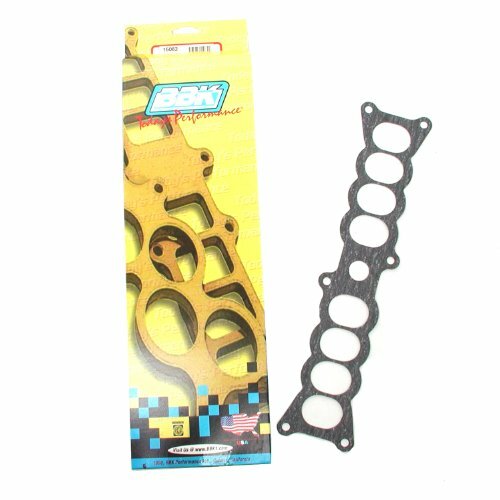 BBK TFS Upper/Lower Intake Manifold Gasket Kit, (Pack of 2) features replacement premium quality EFI intake manifold gaskets. It is for BBK phenolic spacer kits. It has many aftermarket intakes - BBK SSI - Edlebrock - TFS - GT40 - Cobra - Ford Racing and stock applications. The kit Includes 2 gaskets. 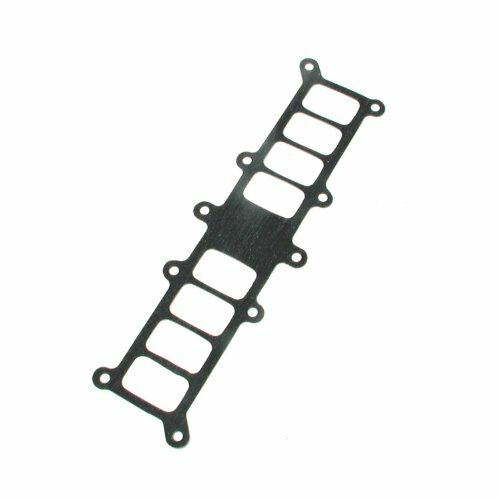 BBK Upper/Lower Intake Manifold Gasket Kit for GT-40/Cobra (Pack of 2) features replacement premium quality EFI intake manifold gaskets. It is for BBK phenolic spacer kits. It has many aftermarket intakes - BBK SSI - Edlebrock - TFS - GT40 - Cobra - Ford Racing and stock applications. The kit Includes 2 gaskets. 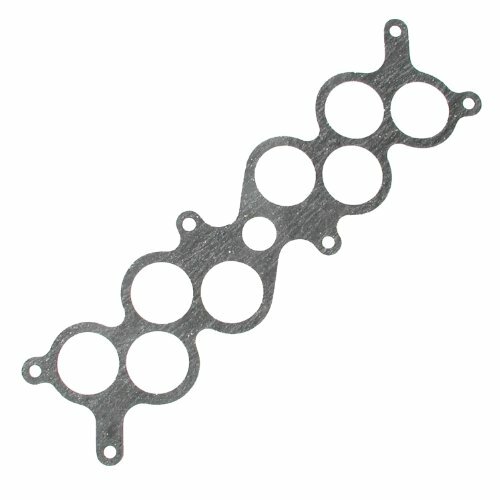 BBK SSI Upper/Lower Intake Manifold Gasket Kit features replacement premium quality EFI intake manifold gaskets. It is for BBK phenolic spacer kits. It has many aftermarket intakes - BBK SSI - Edlebrock - TFS - GT40 - Cobra - Ford Racing and stock applications. The kit Includes 2 gaskets. 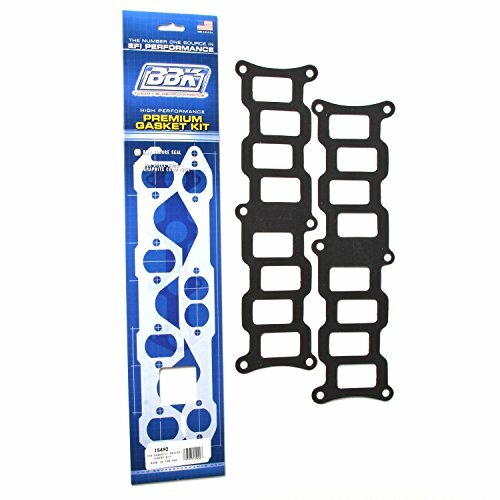 BBK Factory Manifold Upper/Lower Gasket Kit for Ford Mustang 5.0L, (Pack of 2) features replacement premium quality EFI intake manifold gaskets. It is for BBK phenolic spacer kits. It has many aftermarket intakes - BBK SSI - Edlebrock - TFS - GT40 - Cobra - Ford Racing and stock applications. The kit Includes 2 gaskets. 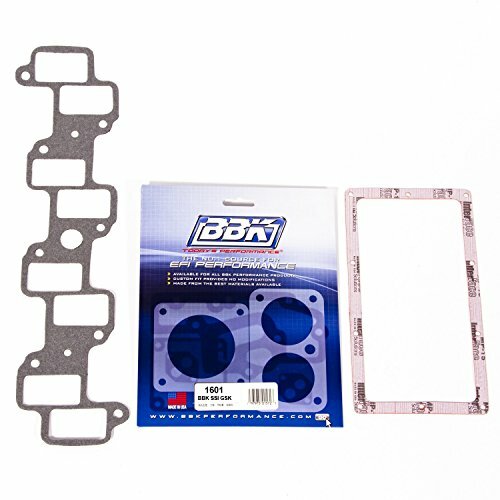 BBK Upper/Lower Intake Manifold Gasket Kit for Edelbrock Performer, (Pack of 2) features replacement premium quality EFI intake manifold gaskets. It is for BBK phenolic spacer kits. It has many aftermarket intakes - BBK SSI - Edlebrock - TFS - GT40 - Cobra - Ford Racing and stock applications. The kit Includes 2 gaskets. These elbows are designed for use in high hp race applications. An internal divider optimizes flow distribution to all ports of the manifold by reducing turbulence. High Flow Elbow #3849 is an ultra high flow version which measures 4.50" from flange to throttle body centerline (7.75" overall height). During flow testing this elbow provided up to 1,050 cfm with a 90mm throttle body and 1,150 cfm with a 95mm throttle body. Does not accept LS1 throttle bodies. 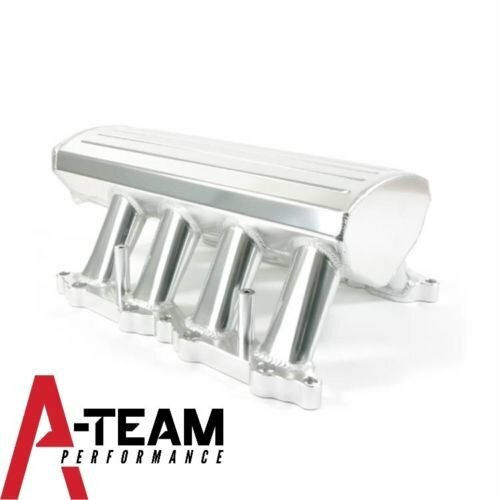 Intake Elbow #3814 has a universal bolt pattern and is the best way to adapt a single throttle body to a Dominator(R) 4500 style flange EFI manifold without sacrificing air flow. The throttle body flange accepts 90-95mm LS1, LS2 and Ford 5.0L based throttle bodies. 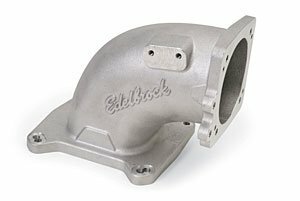 Intake Elbow #3815 is also engineered for use on a Dominator 4500 style flange manifold. It has a 120mm opening for maximum flow and is capable of over 1,400 naturally aspirated hp. The throttle body flange uses a 4.250" square bolt pattern. This elbow flows 1,800 cfm @ 20.5 in H2O. Includes a universal throttle bracket. 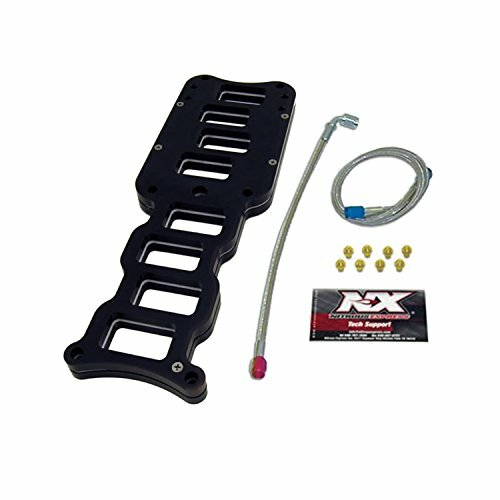 Nitrous Express Ford 5.0L EFI Trick Flow "R" Intake Manifold Plate leads the way with performance and reliability. Their innovation in nitrous plates provides superior distribution and outstanding atomization, ensuring you of a safe but powerful nitrous system. us plates have no spray bars to sag, split, or break, making them "next generation" technology indeed. If you want to upgrade your out dated "dry" nitrous system to a "Next Generation" wet system, onversion kits for you! For those who need to upgrade from a single stage wet system to a dual stage, ou covered. 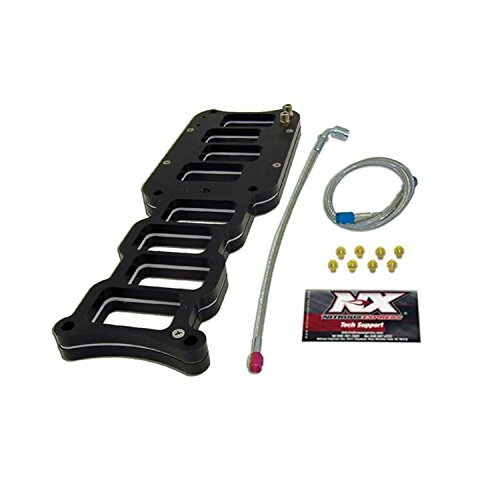 Nitrous Express Ford 5.0L EFI Trick Flow Intake Manifold Plate leads the way with performance and reliability. Their innovation in nitrous plates provides superior distribution and outstanding atomization, ensuring you of a safe but powerful nitrous system. us plates have no spray bars to sag, split, or break, making them "next generation" technology indeed. If you want to upgrade your out dated "dry" nitrous system to a "Next Generation" wet system, onversion kits for you! For those who need to upgrade from a single stage wet system to a dual stage, ou covered. 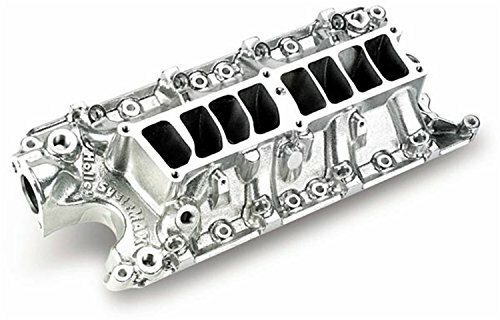 The Holley intake manifold is a great power builder and created for top performance on the Ford small block. This manifold will flow air like no other street/strip manifold. It's fully machined and ready to bolt down on the engine. Copyright © Wholesalion.com 2019 - The Best Prices On Flow Ford Efi Intake Manifolds Online.